NIFT Entrance Exam 2019 Notification is out. National Institute of Fashion Technology (NIFT), will be conducting NIFT 2019 Entrance Test on January 20 for admissions to NIFT B.Des and B.F.Tech Courses. The official notification of NIFT 2019 has been released on 22nd October 2018. 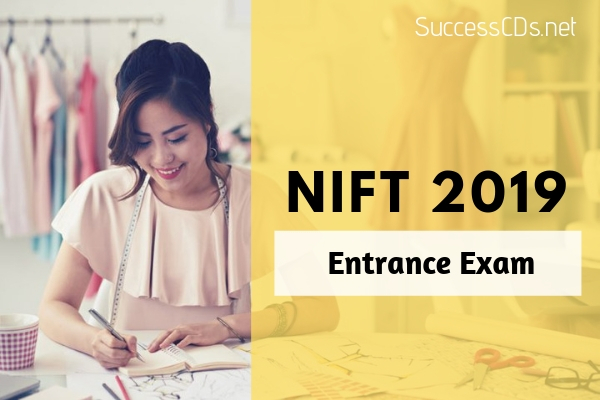 Students interested in appearing for NIFT 2019 entrance exam can check complete details about the entrance test including admit card, important dates, seat matrix, application procedure, eligibility criteria, exam pattern and result on this page. How to Apply for NIFT 2019 ? Candidates may have appeared in multiple SAT/GMAT/GRE exams prior to 30th April 2019. The highest score among these tests will be taken into consideration for allotment of seat. The GRE/GMAT/SAT scores should not have been declared before 01st January 2017 and should be received by the Institute (NIFT) latest by 30th April 2019. The application form of NIFT 2019 can be filled from October 22 to December 28, 2018. The application fee for NIFT 2019 form has to be paid through online payment gateway or through bank demand draft issued in favour of “NIFT HO” payable at New Delhi. For candidates to the UG Fashion Technology programme, the selection process comprises a written exam comprising of a General Ability Test (GAT). For the M.F.M programme, the selection process comprises of Written test comprising of a General Ability Test (GAT) followed by Group Discussion and Personal Interview (GD/PI) for shortlisted candidates of the written exam.